It was a cutting edge show since traditional Chinese dancers (Philippine Shin Yi Dance Company) enhanced the whole totality of the show but with a twist. Philippine Shing Hong Dragon dance was incorporated in the opening number. Chinese artists will be used in different segments of the show plus some fireworks display at the finale. Celebrities like Paolo Ballesteros, Anna Fegi, King, and a lot of media personalities graced the event. 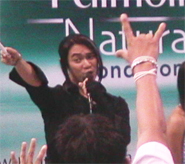 Fil-Chi singer Sean Lim went full blast via a free show last February 09, 2005 as he launched his first album and at the same time welcome the Year of the Rooster at Eastwood Walk in Eastwood City, Libis, Quezon City. The concert had a lot of Chinese flavor from the set to the songs and the production numbers. 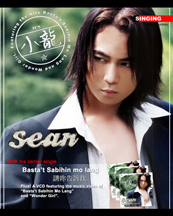 Sean sang cuts from his album plus cover versions of Top 40 hit songs and hit songs in Mandarin by popular Chinese singers. Frenchie Dy and Aiza Marquez was the special guest for the concert. Star Records dancers The Domain did the back up performance. Sean started his Mall tour promoting his Album in SM Baguio, Sm Cebu, Sm Fairview, Sm Megamall, Market-Market, Ever Gotesco Mall Ortigas, Sta. Lucia Mall, Robinsons Malls, SM North Edsa and SM Cavite. Sean had several campus tour around Greater Manila Area. Sponsored by Gandang Ricky Reyes and Palmolive Naturals. For Provincial tours, it was sponsored by Yes Fm 101.1.